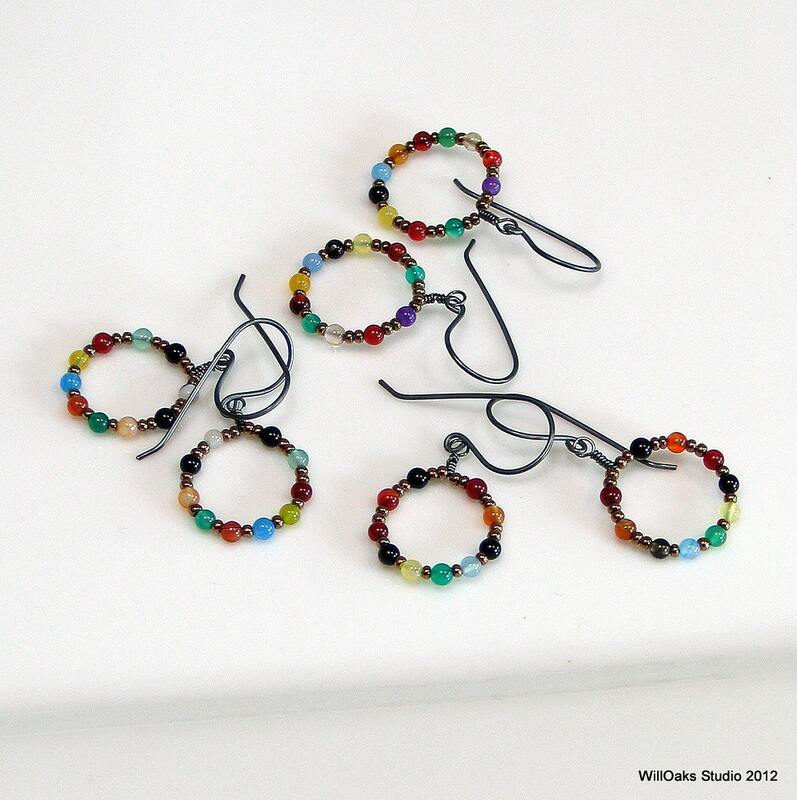 Designed to coordinate with the multi strand bracelets and long chains in my Tapestry Series, colorful agates, quartz and other dyed and natural stone beads are captured on sterling hoops to dangle from my hand formed oxidized sterling ear wires. 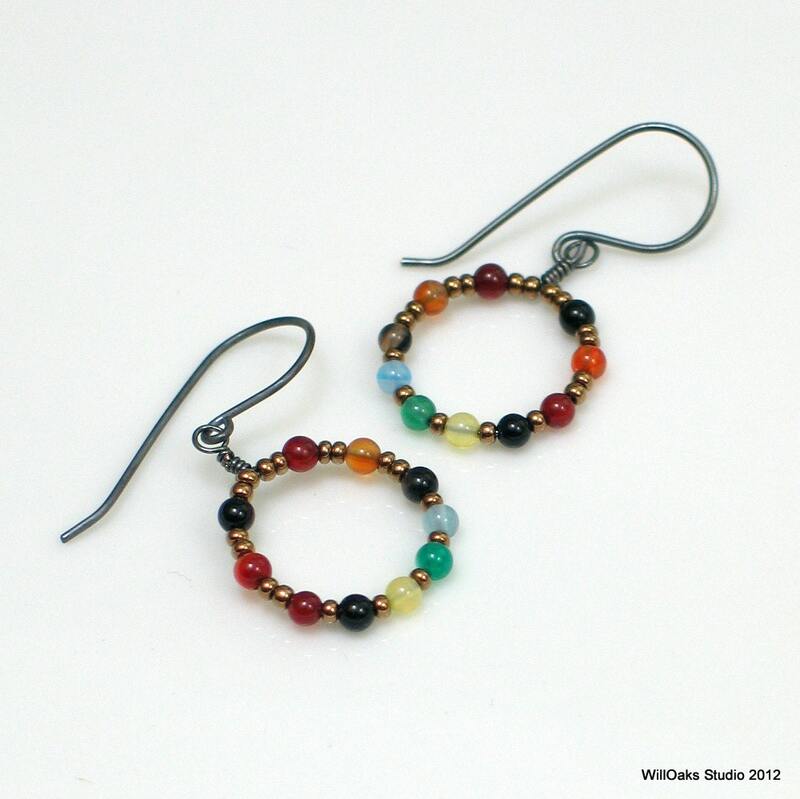 Bright, cheerful colors arranged so the two earrings are mirror images, but no two pairs will be exactly alike. 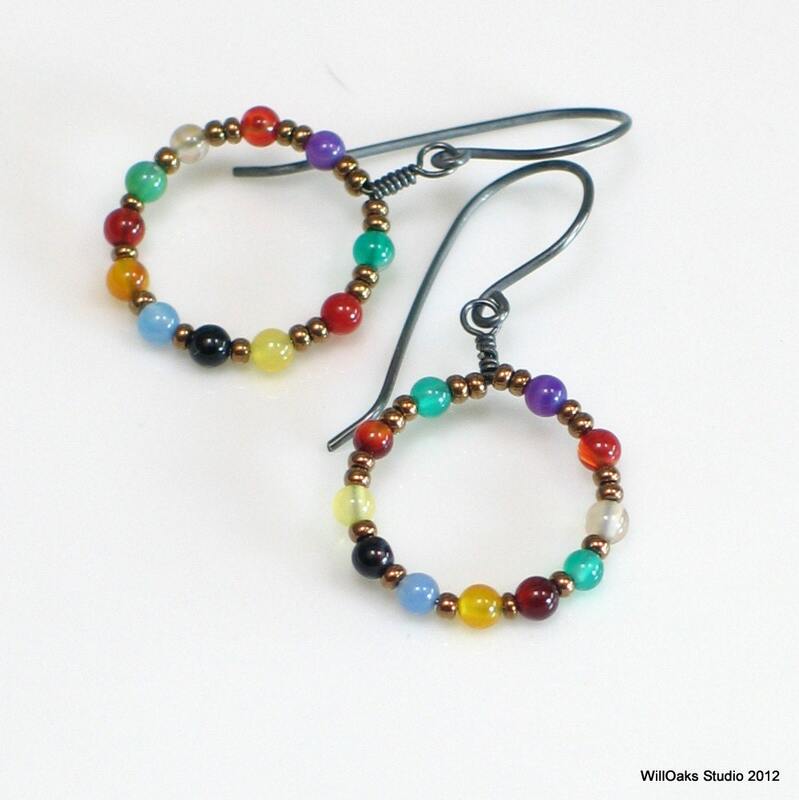 3 mm stone beads are spaced out with tiny metallic finish Czech glass beads in a darker, antique gold finish, all around my hand formed hoops designed to dangle. 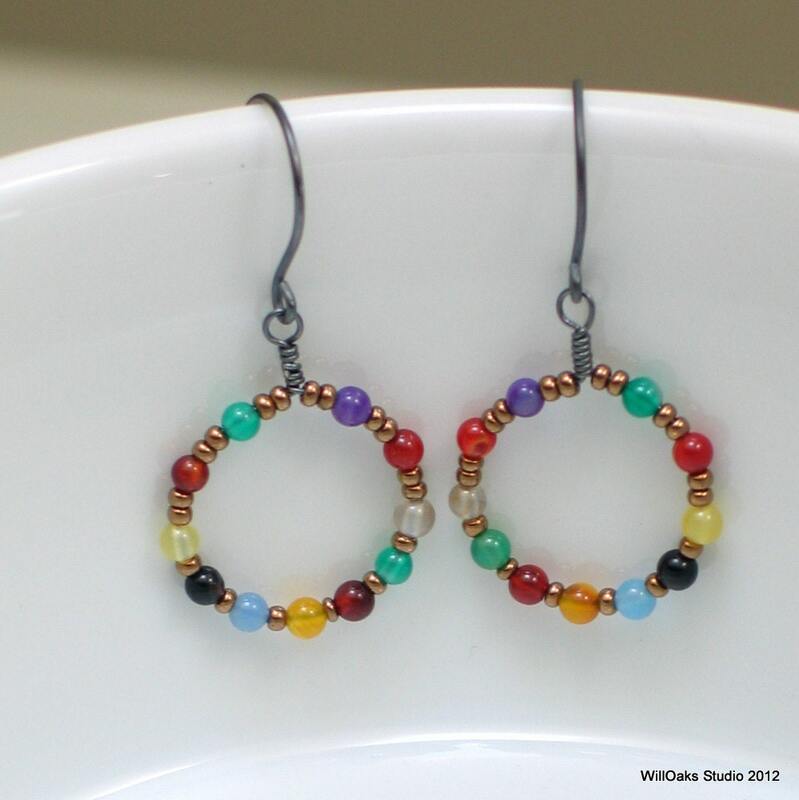 They hang just about 1 1/2" measured from the top of the ear wire to the bottom of the hoop. 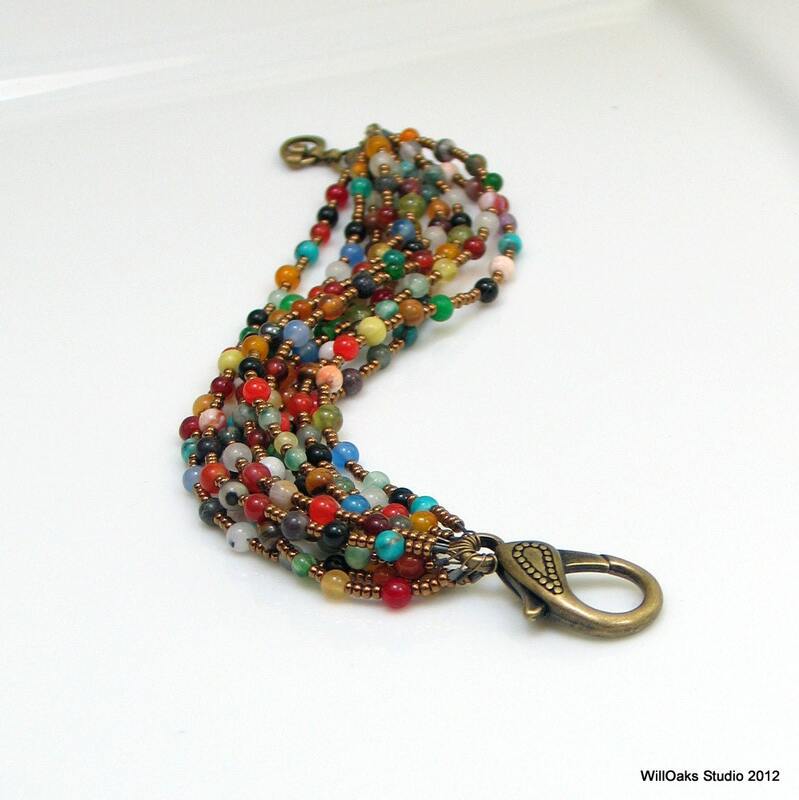 Fun on their own for sure, and if you order them with either a beaded chain or multi strand bracelet from my Tapestry Series, I'll make sure the color mixes in each coordinate nicely. And other bracelets & chains in this bronze-antique gold color.